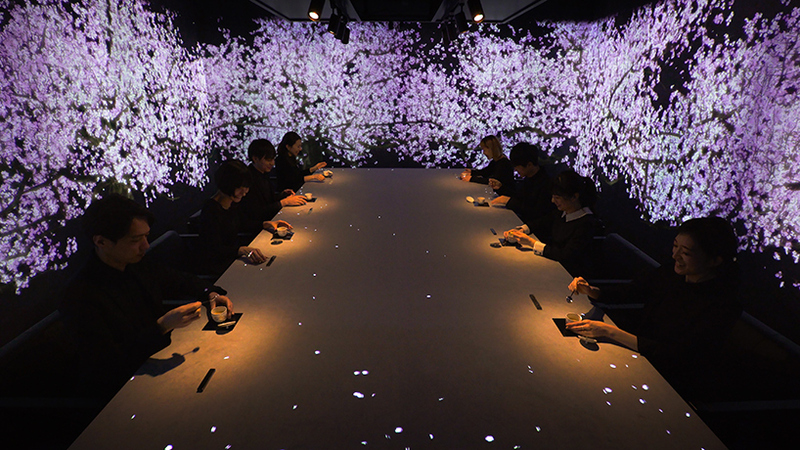 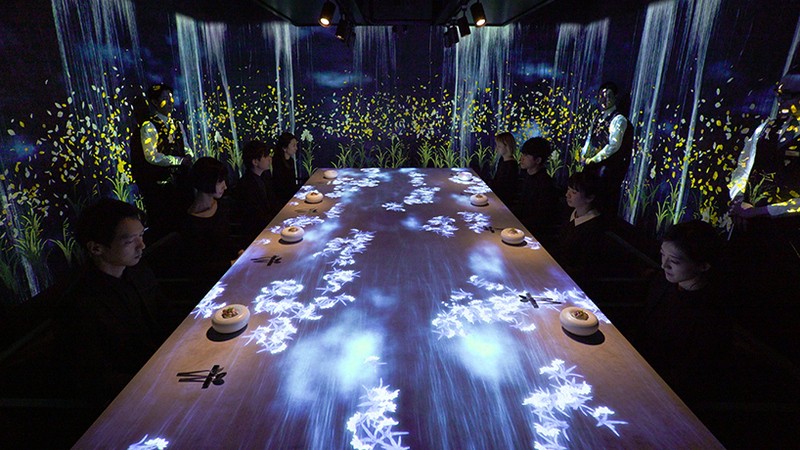 art collective teamlab has created an immersive interactive restaurant in tokyo’s ginza district. 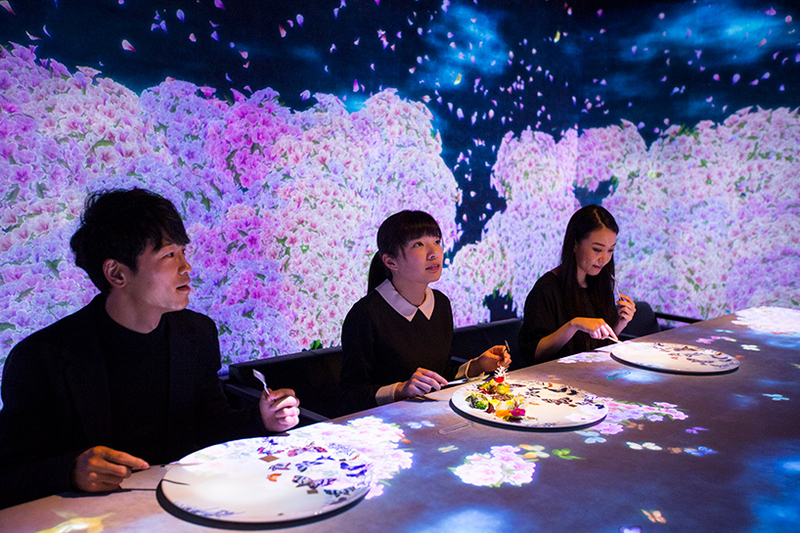 the exclusive eatery, which serves just eight guests per day, provides diners with a unique multi-sensory experience that conveys the tastes, smells, and scenic beauty of japan. 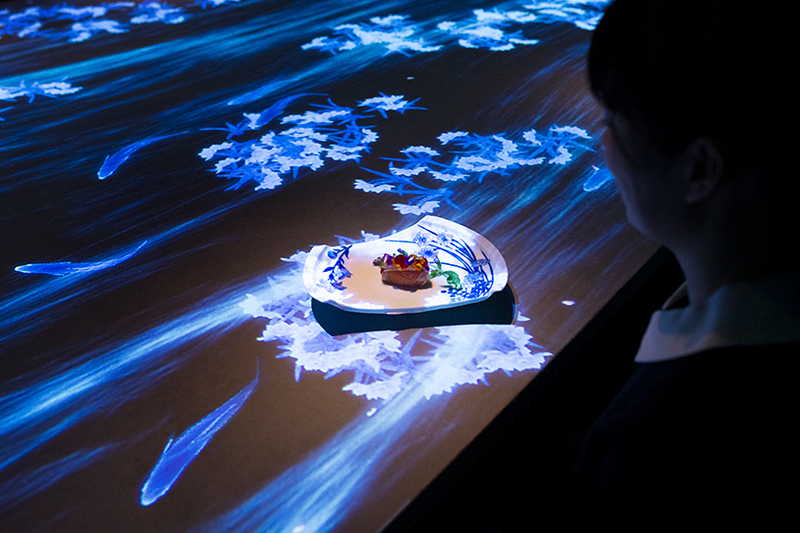 the immersive space combines elegant cuisine and ceramic art with real-time projections that canvas the restaurant’s walls and tables. 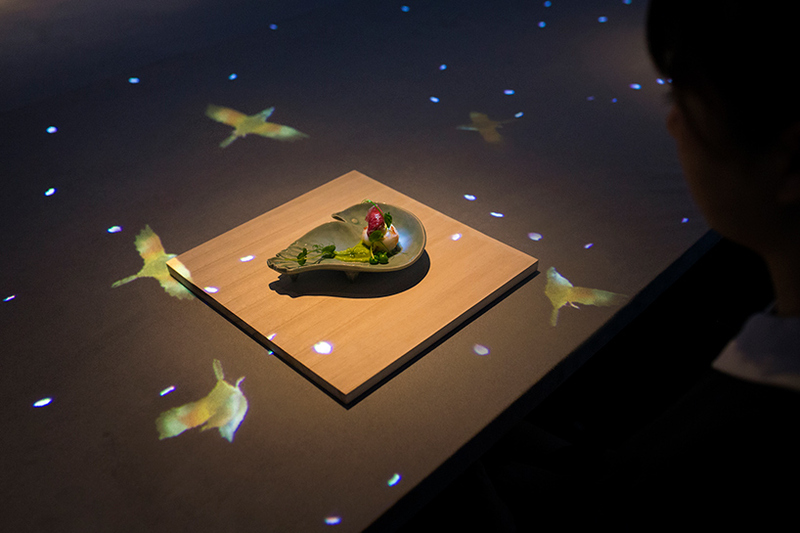 the sizes and shapes of the projected objects are also affected by the other dishes on the table. 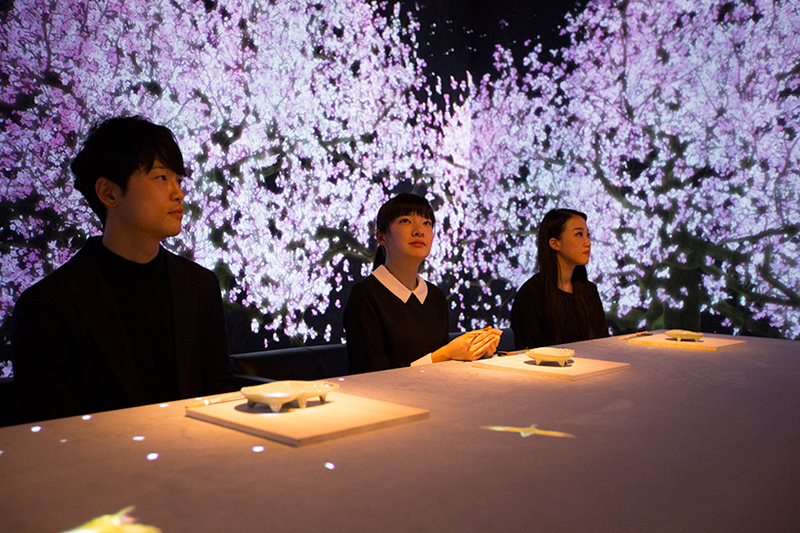 this creates an environment of constant change, designed to reflect japan’s changing seasons. 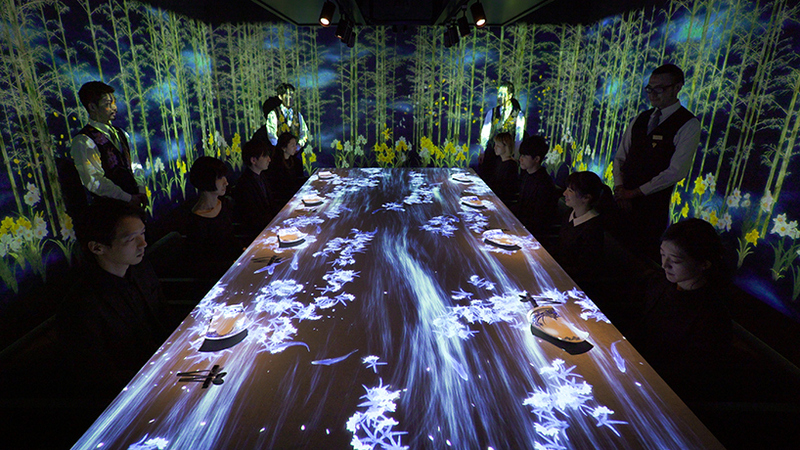 furthermore, the projections are influenced by the diners’ behavior. 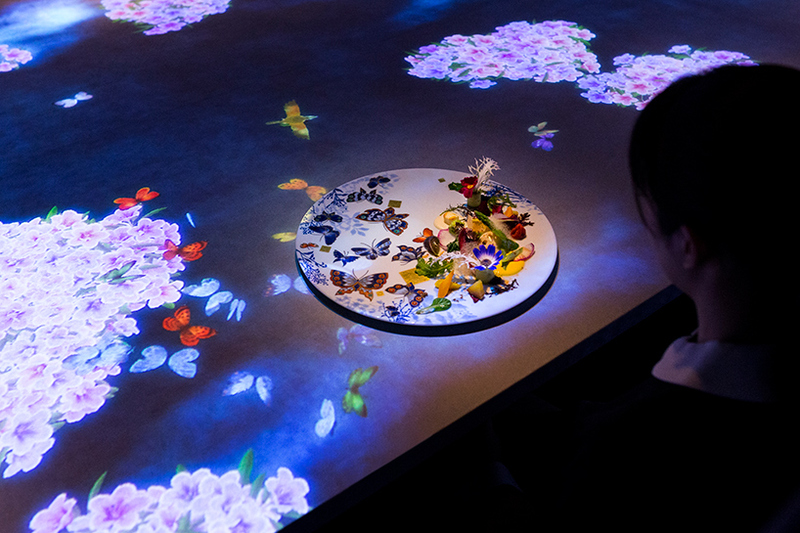 ‘if you are still, a tiny bird might alight on your hand; if you move suddenly, it might fly away,’ explains teamlab. 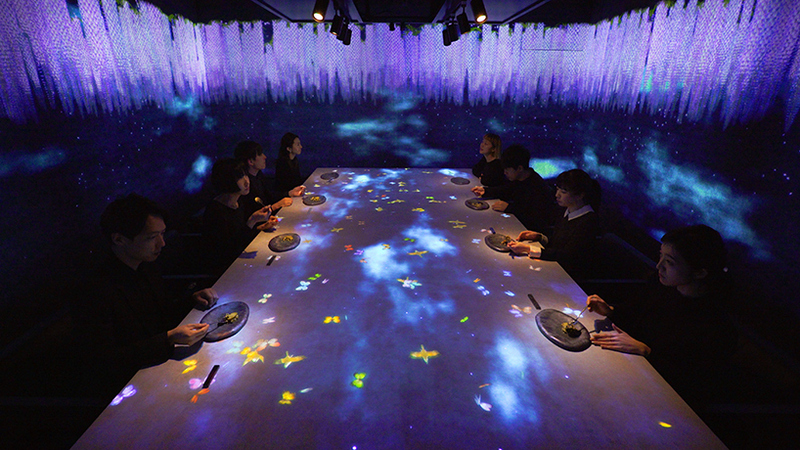 the restaurant’s menu and presentation, which changes monthly, includes a 12-course meal with dishes including black wagyu beef and seasonal vegetables. 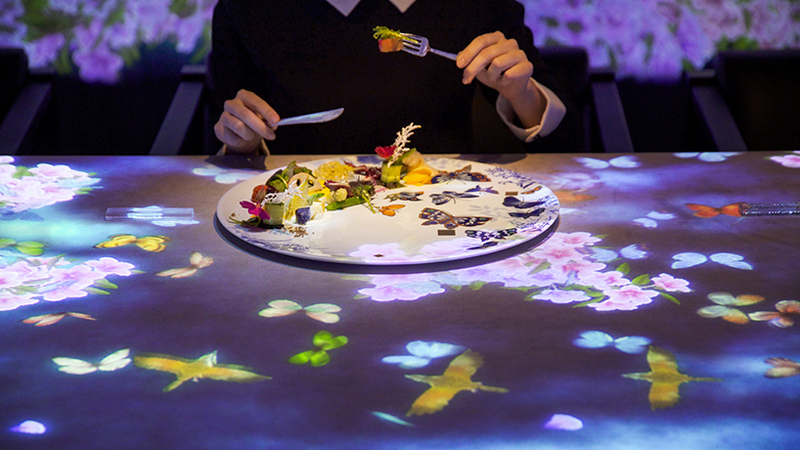 Beautiful and hypnotizing but as long as the effects go over the food, I can’t imagine a major chef wanting to host such a display.